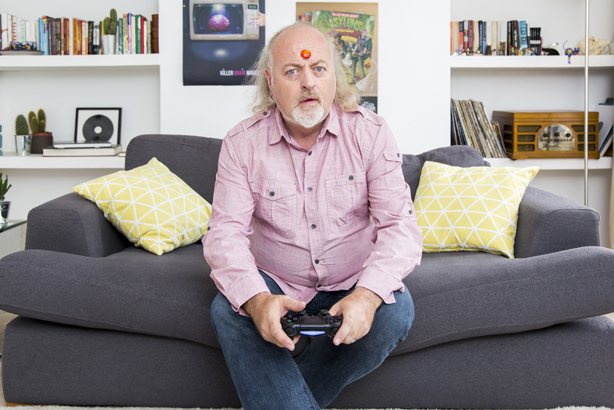 Comedian Bill Bailey features in PlayStation's launch video for the game No Man's Sky on PlayStation4. It follows Bailey, known for his fascination with space, as he journeys to the centre of a vast universe. The Never Mind the Buzzcocks and QI star takes the captain’s seat to explore some of the "18 quintillion planets" available for players of No Man’s Sky to discover. The game was developed by UK-based studio Hello Games and allows players to travel through a vast galaxy with numerous planets and assorted creatures, discovering new ground and fighting for survival. Bailey said: "Playing No Man’s Sky is an immersive and fantastical journey of exploration where you can discover and name entire planets, as I did with Bill-topia. There’s plenty more planets to go round, in fact an entire universe of 18 quintillion celestial orbs." Creston-owned agency Fever, which already handled UK PR for Sony’s gaming range PlayStation, was appointed to represent the brand across EMEA as its retained agency earlier this year. It fought off stiff competition from FleishmanHillard Fishburn, Hope&Glory and Manifest, after Sony ended a five-year relationship with Shine Communications.